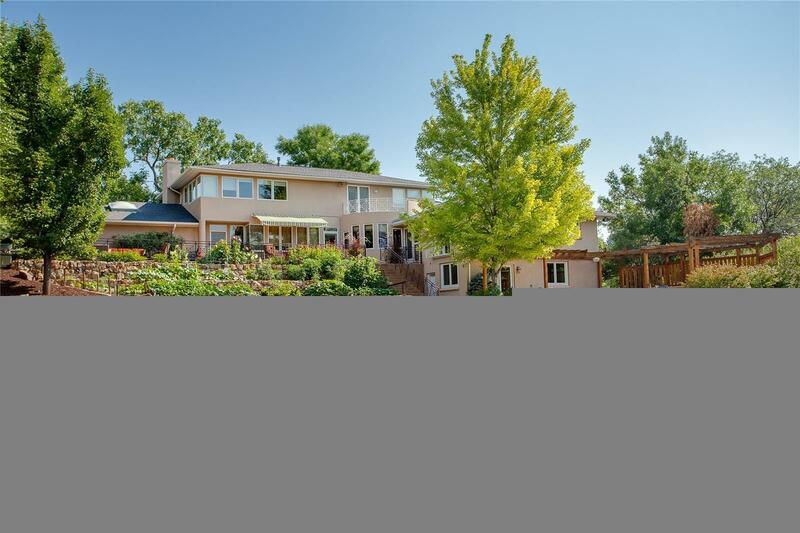 This sunlit home enjoys a spectacular setting atop 2 acres. It's elevated position offers breathtaking panoramas of the Rocky Mountains, where you find a phenomenal view of either mountains or gorgeous landscape from every window. Quiet, sunny, open & relaxing describes this 5 bedroom family home. Offering tremendous privacy, this wonderful property combines beauty and practicality with effortless style. Generous, open floorplan with an abundance of natural light, featuring hardwood floors, living room with Frank Lloyd Wright inspired flagstone fireplace + sun room & chefâs kitchen, as well as spacious deck off the kitchen. Family room with built-ins, study & main floor guest en suite complete the 1st level. Walk-out level features rec room with stone fireplace + full bar. Mature trees & lush greenery surround this impressive residence, enjoying a multitude of entertaining spaces inside & out, including expansive lower patio with spa & firepit. Community well for irrigation + new roof!